For the past several years, Bruce Greenwald and I have been engaged in research on an alternative theory of the Depression—and an alternative analysis of what is ailing the economy today. This explanation sees the financial crisis of the 1930s as a consequence not so much of a financial implosion but of the economy’s underlying weakness. The breakdown of the banking system didn’t culminate until 1933, long after the Depression began and long after unemployment had started to soar. By 1931 unemployment was already around 16 percent, and it reached 23 percent in 1932. Shantytown “Hoovervilles” were springing up everywhere. The underlying cause was a structural change in the real economy: the widespread decline in agricultural prices and incomes, caused by what is ordinarily a “good thing”—greater productivity. At the beginning of the Depression, more than a fifth of all Americans worked on farms. Between 1929 and 1932, these people saw their incomes cut by somewhere between one-third and two-thirds, compounding problems that farmers had faced for years. Agriculture had been a victim of its own success. In 1900, it took a large portion of the U.S. population to produce enough food for the country as a whole. Then came a revolution in agriculture that would gain pace throughout the century—better seeds, better fertilizer, better farming practices, along with widespread mechanization. . . What this transition meant, however, is that jobs and livelihoods on the farm were being destroyed. Because of accelerating productivity, output was increasing faster than demand, and prices fell sharply. It was this, more than anything else, that led to rapidly declining incomes. 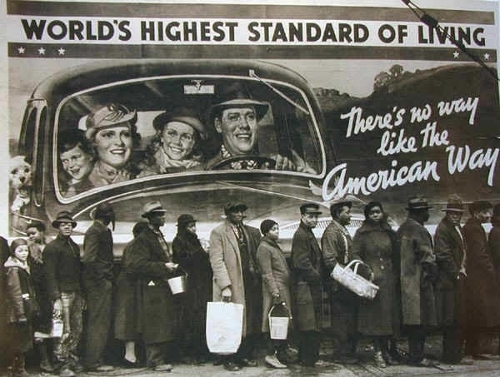 The parallels between the story of the origin of the Great Depression and that of our Long Slump are strong. Back then we were moving from agriculture to manufacturing. Today we are moving from manufacturing to a service economy. The decline in manufacturing jobs has been dramatic—from about a third of the workforce 60 years ago to less than a tenth of it today. The pace has quickened markedly during the past decade. There are two reasons for the decline. One is greater productivity—the same dynamic that revolutionized agriculture and forced a majority of American farmers to look for work elsewhere. The other is globalization, which has sent millions of jobs overseas, to low-wage countries or those that have been investing more in infrastructure or technology. (As Greenwald has pointed out, most of the job loss in the 1990s was related to productivity increases, not to globalization.) Whatever the specific cause, the inevitable result is precisely the same as it was 80 years ago: a decline in income and jobs. The millions of jobless former factory workers once employed in cities such as Youngstown and Birmingham and Gary and Detroit are the modern-day equivalent of the Depression’s doomed farmers. Stiglitz argues that the banking crisis exacerbated the underlying problem of economic transformation caused by innovation. The hypothesis is interesting, but I don't think that the evidence backs it up. Let's have a look. The key variable for Stiglitz is productivity, which refers to how much output we get for a set of inputs. Productivity is also a measure of innovation. Improving productivity is a key element in increasing per capita wealth and overall economic growth. At the same time, productivity growth inevitably leads to disruptions and dislocations in the overall economy. The example cited by Stiglitz of early 20th century agriculture is a good one - from 1900 to 1930 agriculture went from employing more than 40% of the nation's jobs to about 20%. The causality is obvious -- suppose that it takes 2 people (plus land and capital) to produce 100 bushels of corn. Now suppose that innovations in agriculture -- say new tools, seeds, fertilizers etc. mean that those 2 people can now produce 150 bushels. The combination of labor and other inputs has improved productivity. Consequences of these improvements might be falling agricultural prices or a need for less labor or both, which is exactly what happened over much of the 20th century in agriculture. For those who purchase food, lower prices is generally a good thing, because it makes them relatively richer, freeing up resources previously spent on food that can now be used in other ways. For the farm sector, to maintain employment, displaced workers would need to find other jobs, probably necessitating new skills. But does the Depression-era analogy hold today? 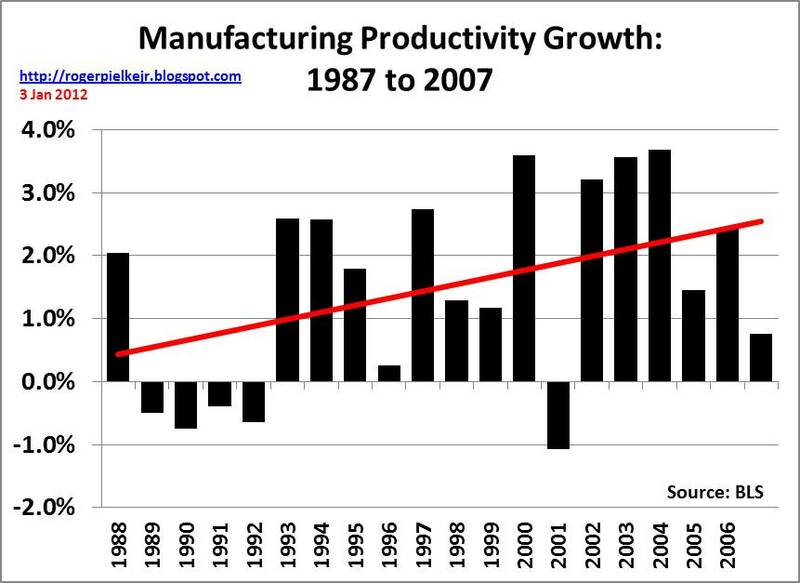 Let's first look at productivity growth in manufacturing (specifically, multi-factor productivity -- Data here from BLS). 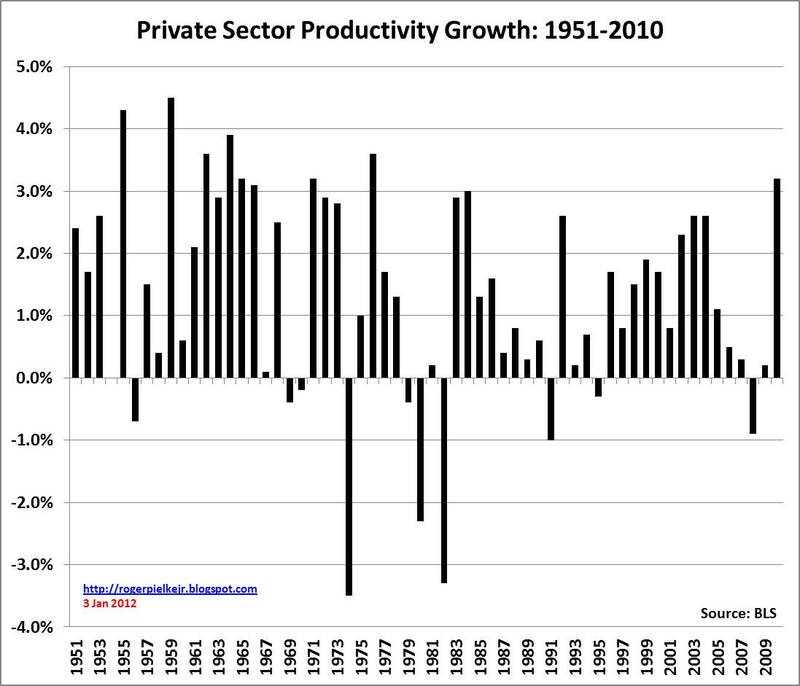 The graph above shows that productivity growth increased from the late 1980s to the mid-2000s. This trend is consistent with the loss of jobs in the manufacturing sector in recent decades from about 18 million jobs in 1988 to less than 12 million today or from about 15% of the labor force to about half that (data). So far so good. But things get complicated when we look at the overall productivity of the economy. 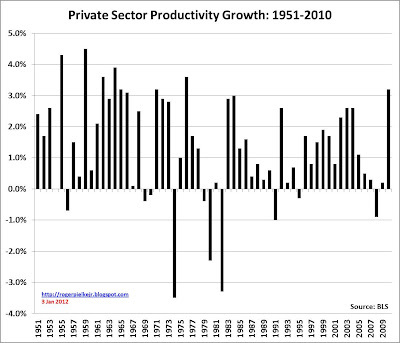 Let's take a look at productivity growth in the US economy from 1951-2010 using data from the Bureau of Labor Statistics (the data set I am using is Multi-Factor Productivity in the private business sector, Excel data here). Over this longer term it is hard to conclude that the recent increased productivity in manufacturing has led to an unusual increase in overall productivity -- far from it, the economy has seen longer periods of higher productivity in the past. What we need to do instead is embark on a massive investment program—as we did, virtually by accident, 80 years ago—that will increase our productivity for years to come, and will also increase employment now. The answer to too much productivity is to increase productivity?! Bottom line -- Increasing productivity in manufacturing has indeed contributed to a change in its role in the overall economy. The larger economic problem, however, is not increased productivity in one sector of the economy, but rather its correlates, such as poor responses to dealing with the resulting dislocated workers in manufacturing and those policies that facilitated the decline of manufacturing in the first place. Focusing on strengthening manufacturing (and a government role in that effort) may indeed make good economic sense, but I have a hard time locating the origins of today's economic woes in too much productivity. US Energy Independence by 2030? Does Basic Research Drive out Applied? 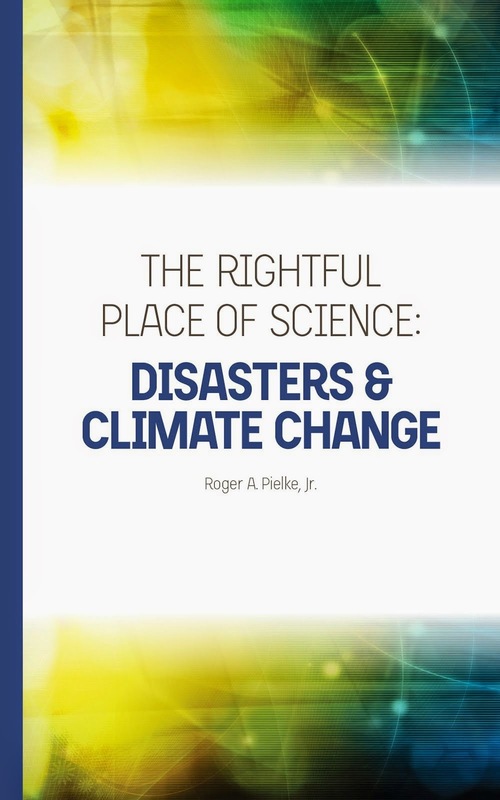 Are Big Earthquakes Becoming More Frequent?